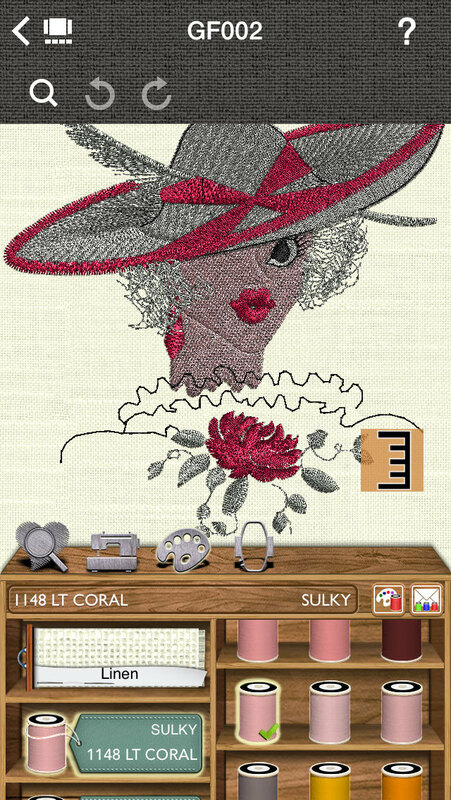 The first embroidery App to purchase, edit and export designs anywhere, anytime! Import, export,print and edit your own collection of designs no matter what their source is, that is whether you got them from your favorite Retailer or online, in all supported embroidery formats. Scale your designs and automatically adjust the density of the embroidery design. 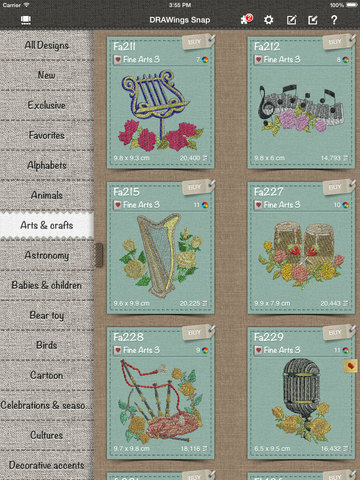 Editing capabilities (available as an in-app purchase) together with 1001 bonus embroidery designs. 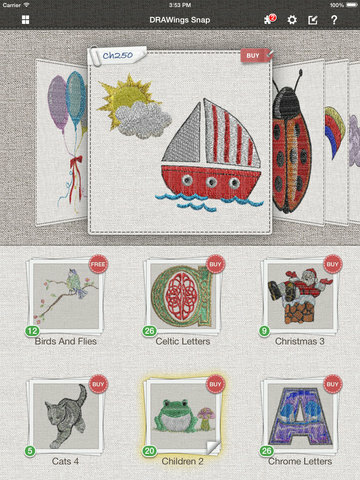 Lettering capability (also in-app purchase) with 12 high-quality scaleable pre-digitized fonts together with 1000 bonus embroidery designs. 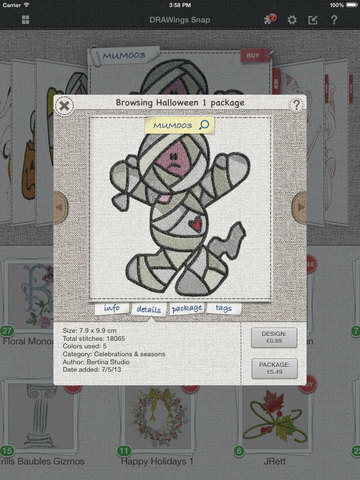 DRAWings® Snap is the first embroidery App that gives you the freedom to conveniently purchase stitch designs from the Apple Store as well as modify your designs anywhere, anytime—even when you’re not connected to the Internet. Import and export your own collection of designs no matter what their source is, that is whether you purchased and downloaded it through our App, your favorite Retailer or online. Convert embroidery designs to other formats, suitable for your machine. Preview design in Photorealistic preview and stitching simulation to ensure perfection every time. * Dropbox® sync to display and export files sent from DRAWings® Pro v.6, Creative DRAWings® v.6, Wings’ modular® v.5 and eXPerience® v.5 software. © 2013-14 Wings Systems Ltd. All rights reserved. Chain - Start a chain about something fun!